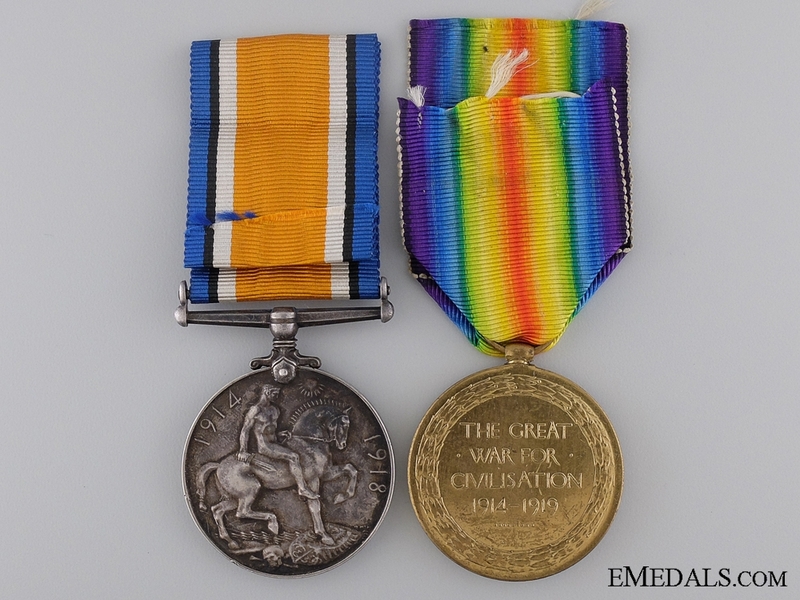 British War Medal (MAJOR E.L. WARNER. 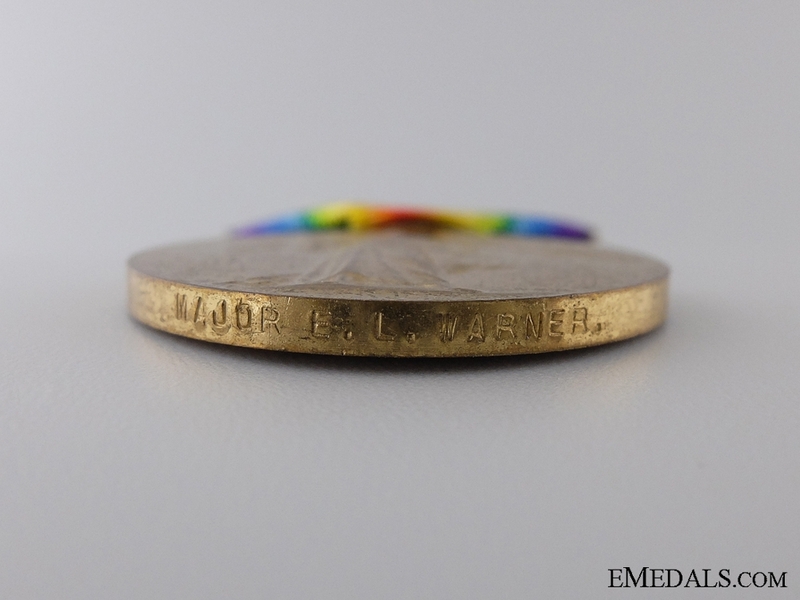 ); and Victory Medal (MAJOR E.L. WARNER.). Naming is officially impressed. Un-mounted, dark patina edge nick and original ribbon on the BWM, light contact on both, better than very fine. Accompanied by assorted research papers. 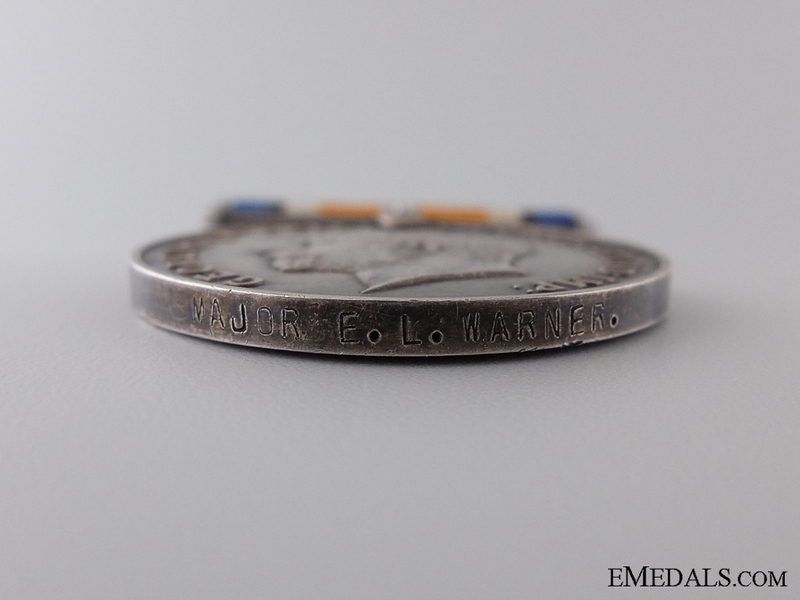 Footnote: Edwin Lloyd Warner was born on January 3, 1891 in South Qu'Appelle, Saskatchewan. He graduated in Medicine from the University of Manitoba and served for one year as House Surgeon at Winnipeg General Hospital before joining the Canadian Expeditionary Force for overseas service. He signed his Attestation Paper on June 21, 1915 at Valcartier Camp, at the age of 24, naming his next-of-kin as E.W. Warner of Winnipeg, Manitoba, stating that he had previous military service with the 16th Cavalry Field Ambulance, that he was not married and that his trade was that of Surgeon. In 1916, Captain Warner, Canadian Army Medical Corps was in command of the King's Canadian Convalescent Hospital at Bushey Park in London. 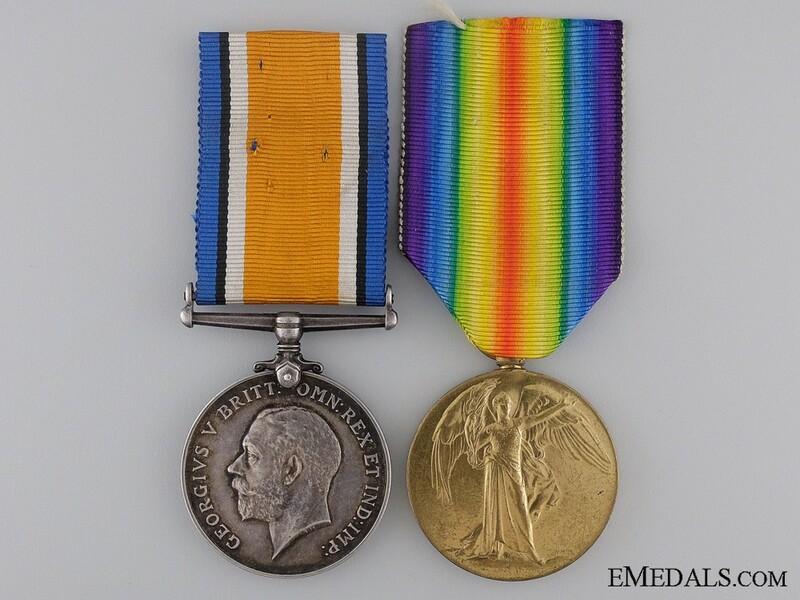 He was one of a group of Canadian Army Medical Officers that had been brought to the notice of the Secretary of State for War in 1917, for valuable services rendered in connection with the war. As a Temporary Captain in 1918, he relinquished his appointment as Deputy Assistant Director of Medical Services. Warner, along with the rest of the Canadian Army Medical Corps was with the Canadian Corps during the last one hundred days of the war. Now in the rank of Major, Warner returned to Canada in 1919 and was detailed to perform the duties of Assistant Director of Medical Services, at Military District No. 10, in Winnipeg. In the 1920s, he was named Lieutenant-Colonel in the CAMC, followed by a move to England in 1938 and his retirement in 1962.